When we left off yesterday, we were at the 10K mat and leaving Disney property. 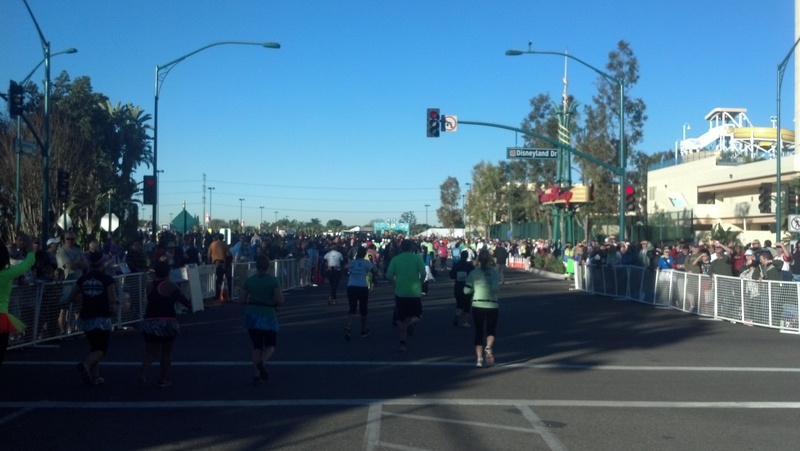 For me, this is where the Tinker Bell Half Marathon course loses its luster. 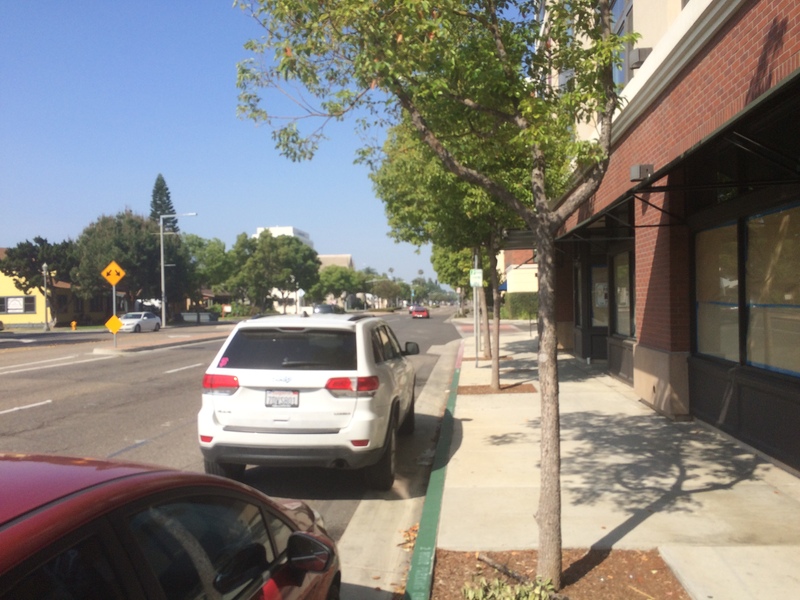 The first part down Walnut Street has lots of shade! Since this is mile 7, I’m sure the sun will be out for a lot of you running. So, shade is great! 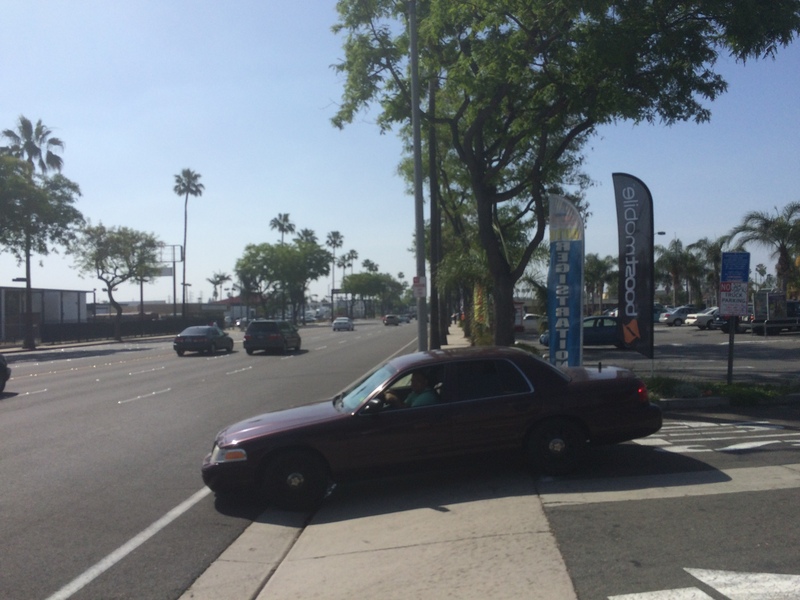 Stay to the right hand side of the road to get the maximum benefit of the shade. 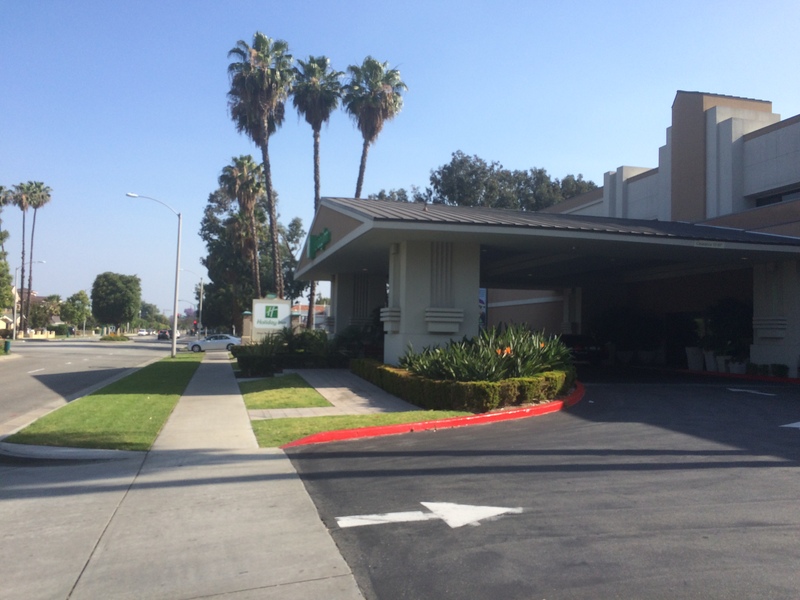 For those looking for a place to stay in future runDisney races at Disneyland, the Holiday Inn is right off the course for the Tinker Bell Half Marathon. The grounds aren’t as green once you leave Disney property. You’ll be running through residences for a little while on Walnut Street. There’s nothing to really note here. It’s really flat. 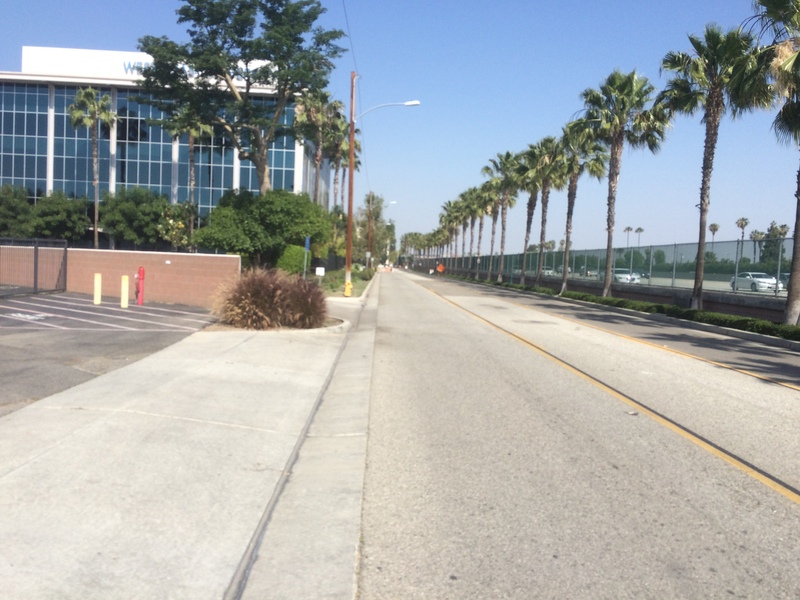 I’m sure that runDisney will have cheer leading squads and marching bands along this road. There are a lot of churches that you’ll run by on this course. By my estimation, this church is either at the end of the 7th mile or towards the start of mile 8. 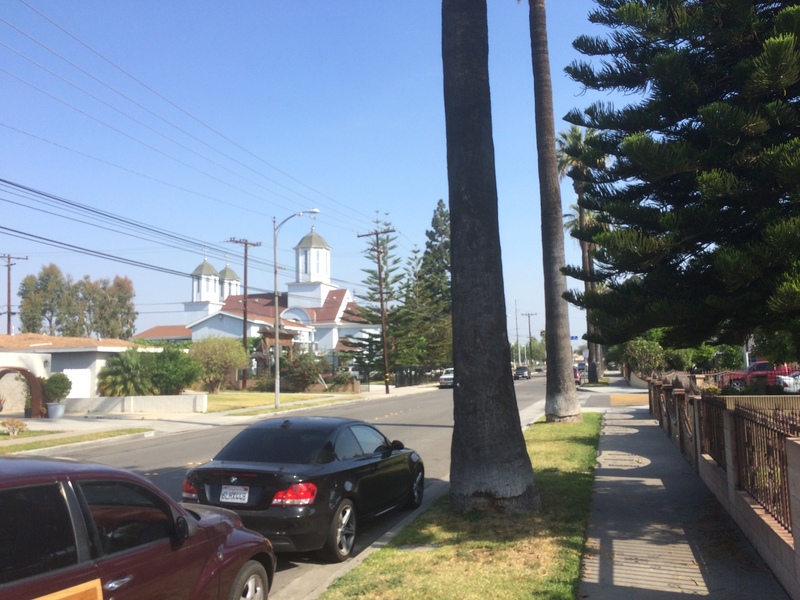 Just past the church is a school and large park. 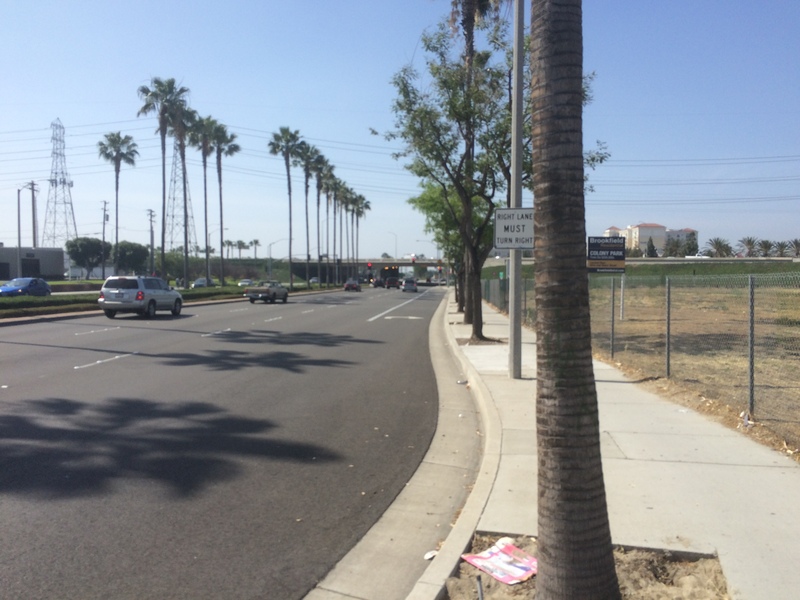 Just past the park is left turn on Manchester Avenue (which runs along the 5 freeway). It looks like your 5th water stop is right after the turn. If you look to off in the distance, you might even see the runners running across the overpass. 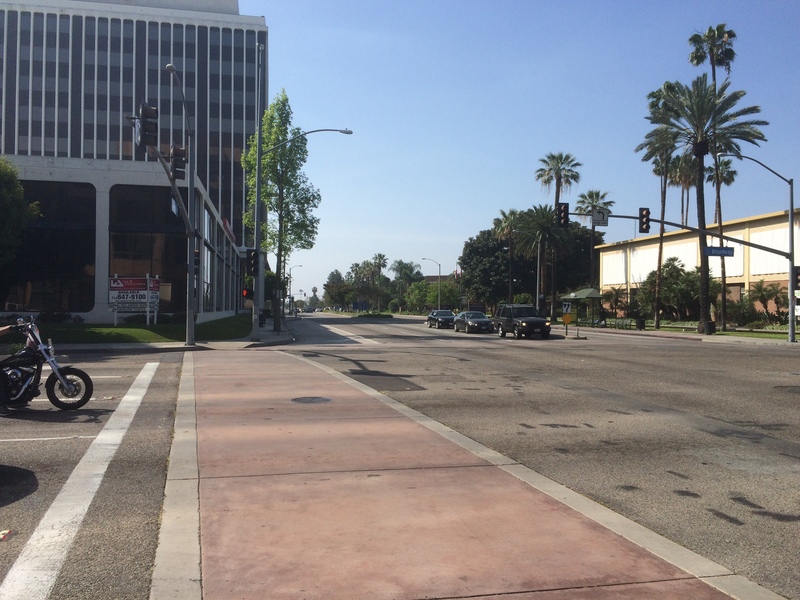 As you can see, you’re not on Manchester Avenue very long before turning. Chances are you won’t even notice you were there because of the water stop. You’ll turn onto the overpass. 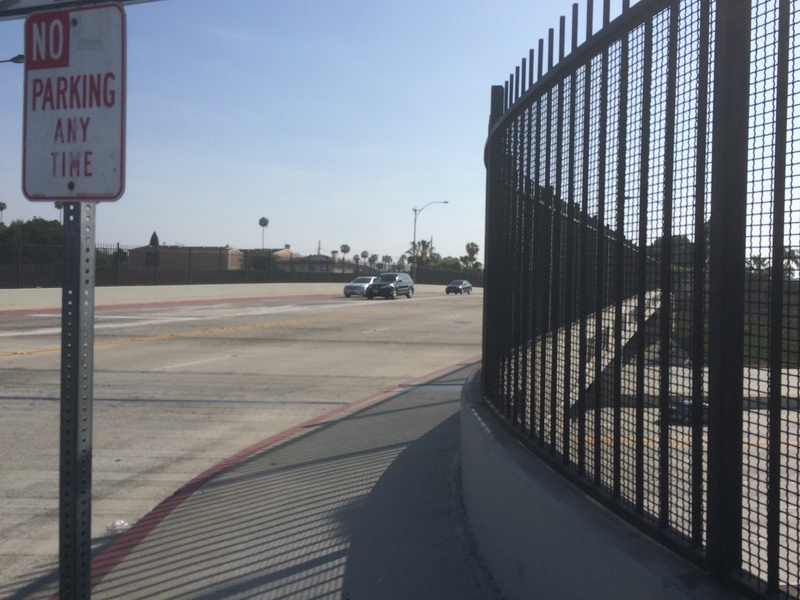 Unlike the other overpasses you’ve already run past, this one doesn’t have much of an uphill element to it at all. 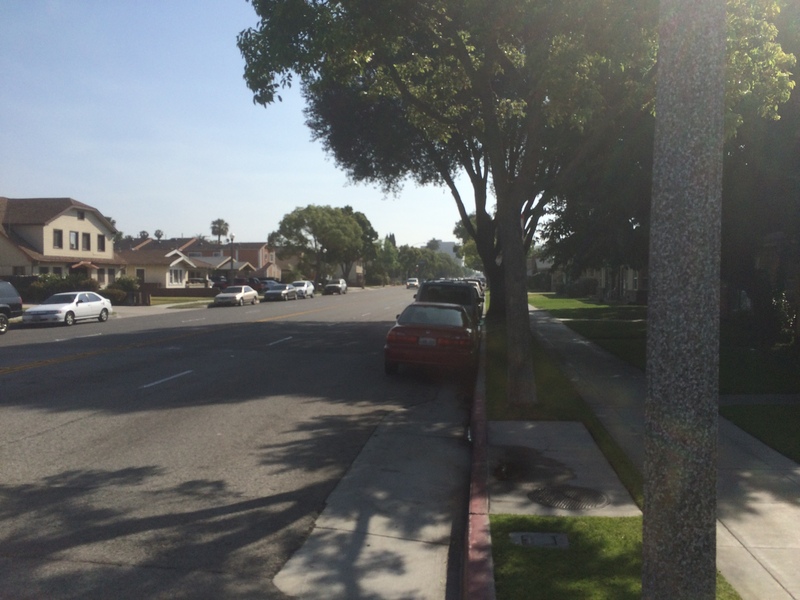 There is a slight incline, though. 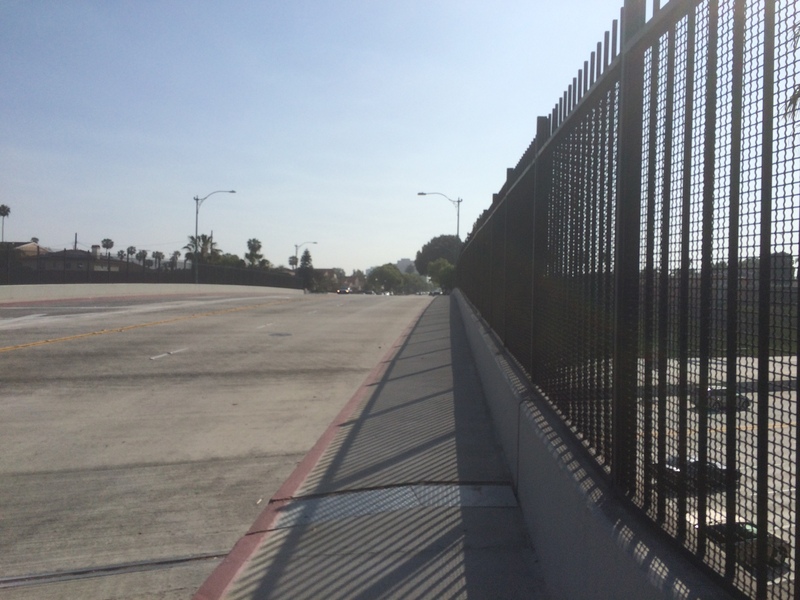 That’s all there is to this overpass. Slight incline and a small decline on the other side. 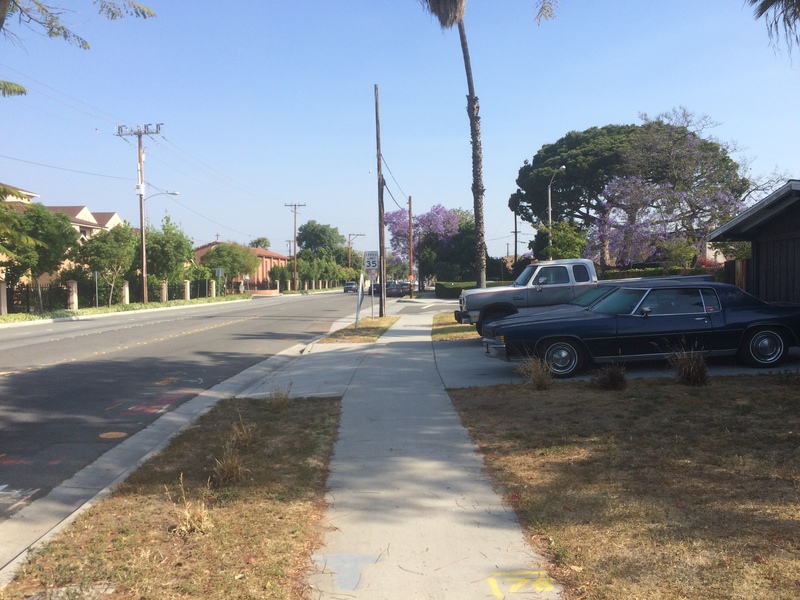 More residential streets on Broadway. Again, this part is very flat. 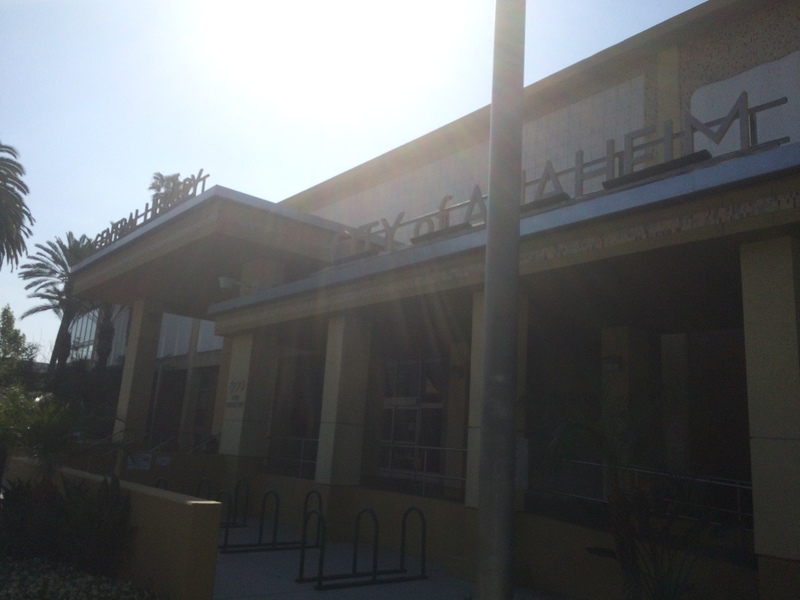 When you get to this church, you should be close to, if not at the mile 8 marker and close to Harbor Blvd. 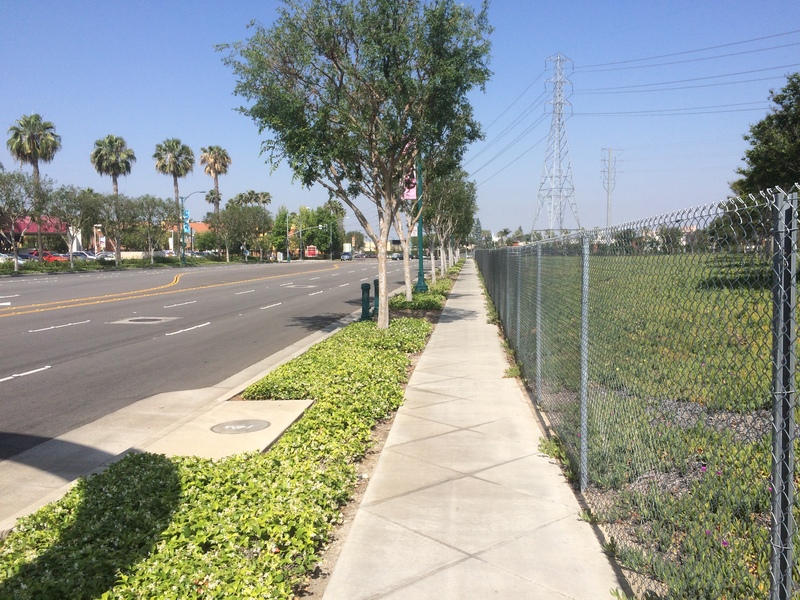 On the right side, you’ll pass by the City of Anaheim public library! Honestly, the landmarks at this race are all in the theme parks. 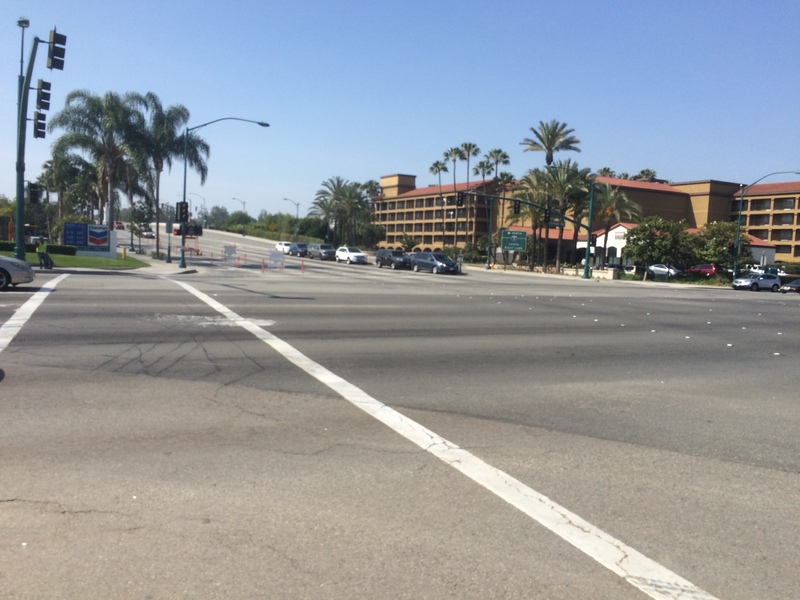 The upcoming traffic light is Harbor Blvd. 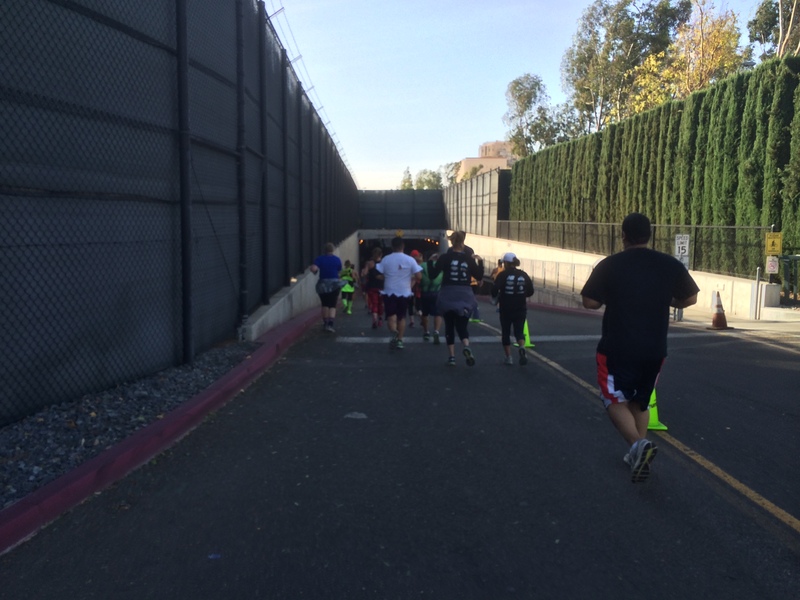 What you should see on race day are runners coming at you who are further along mile 9 than you are. 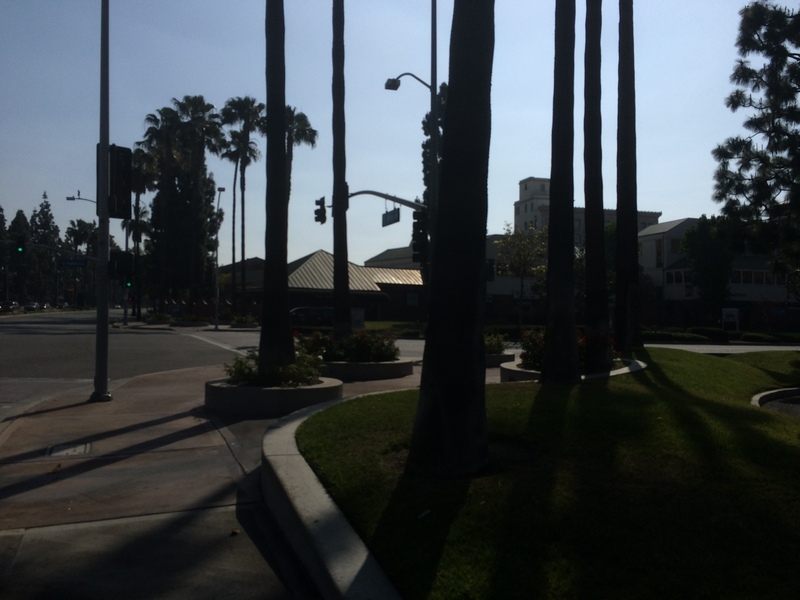 You’ll turn left up Harbor Blvd. and it’s a quick stop on this road before turning again. 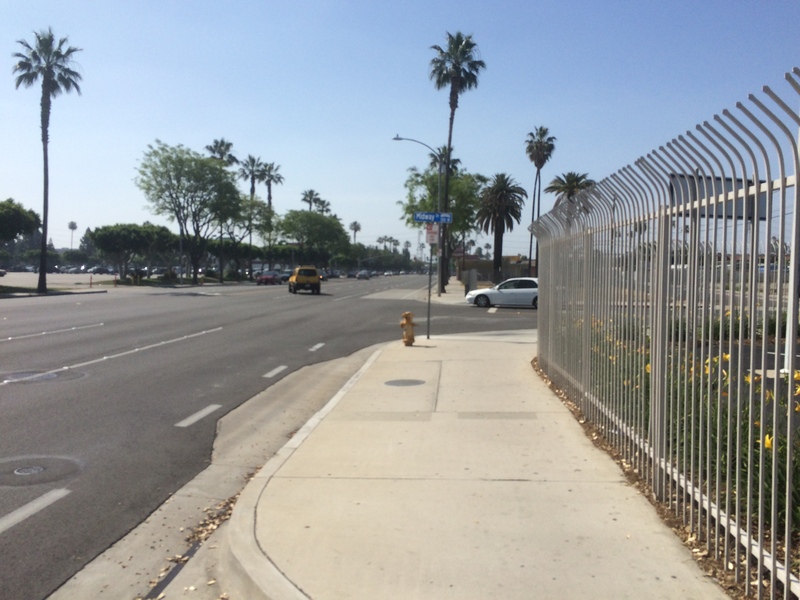 You’ll turn up this road and head up until you get to Anaheim Blvd. 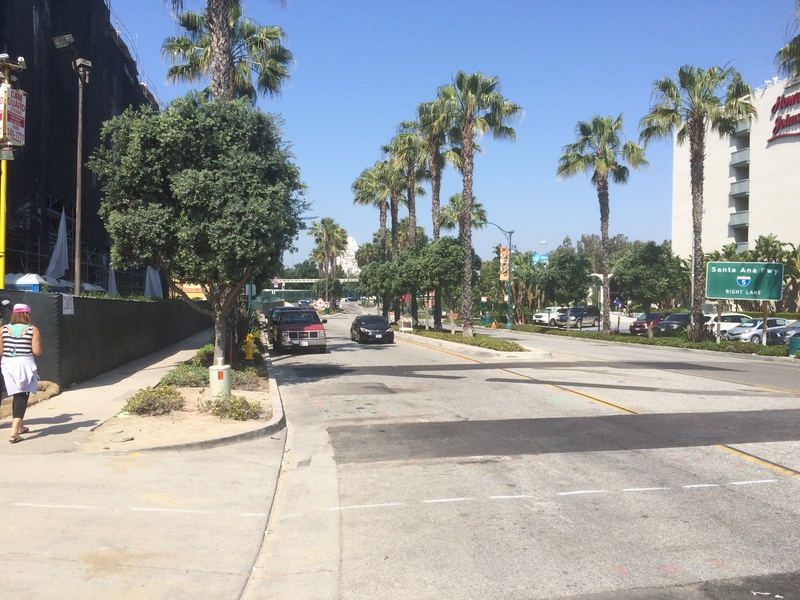 When you get to this shopping center, you’re almost to your next turn. 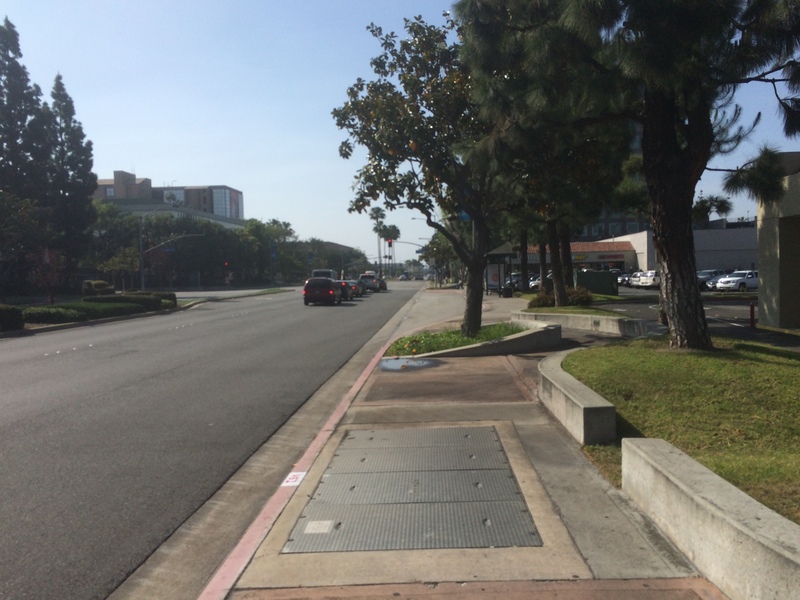 Here’s the next turn…Anaheim Blvd. 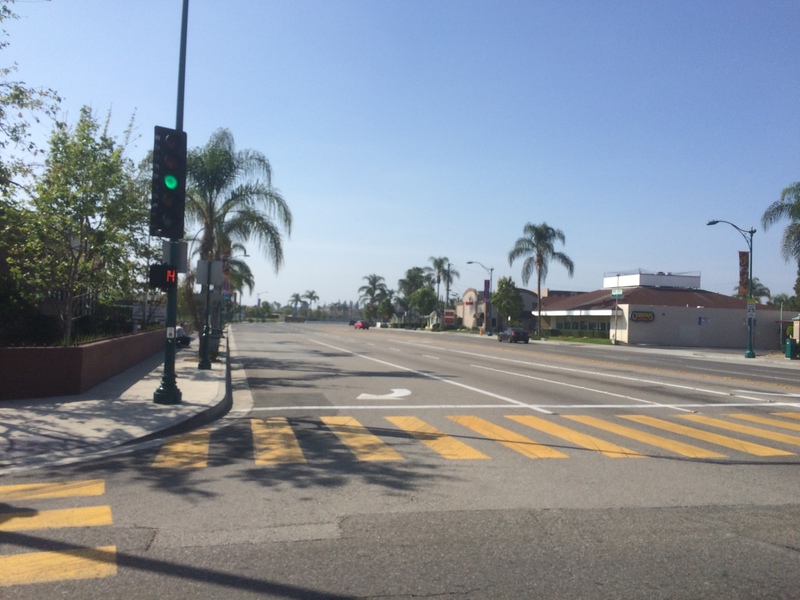 You won’t be on Anaheim Blvd. too long on this part of the course. However, there is a Starbucks off to your right. When I ran by there, I wondered if anyone would stop during the race for some caffeine. 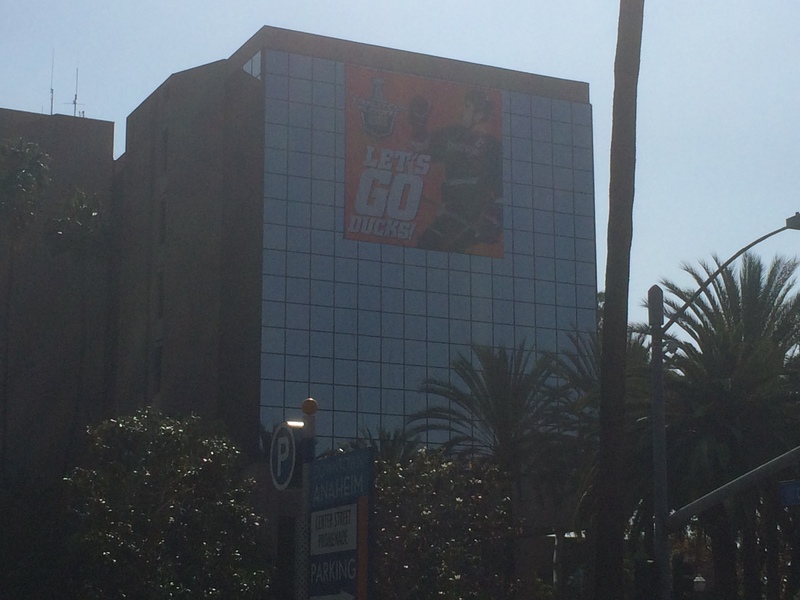 I don’t know if the Anaheim Ducks will still be playing in the NHL Stanley Cup Playoffs when this race happens. So, this banner might not be there. 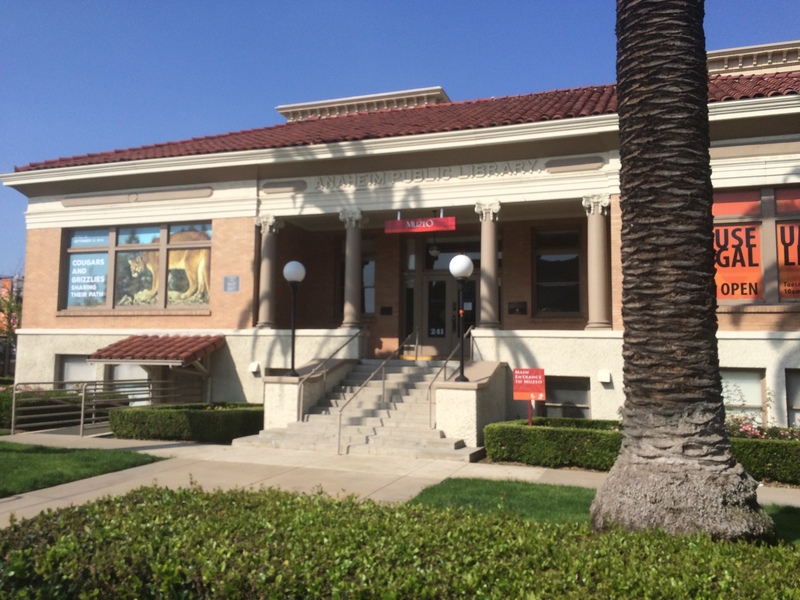 When you come to this library, you’re about to turn again. 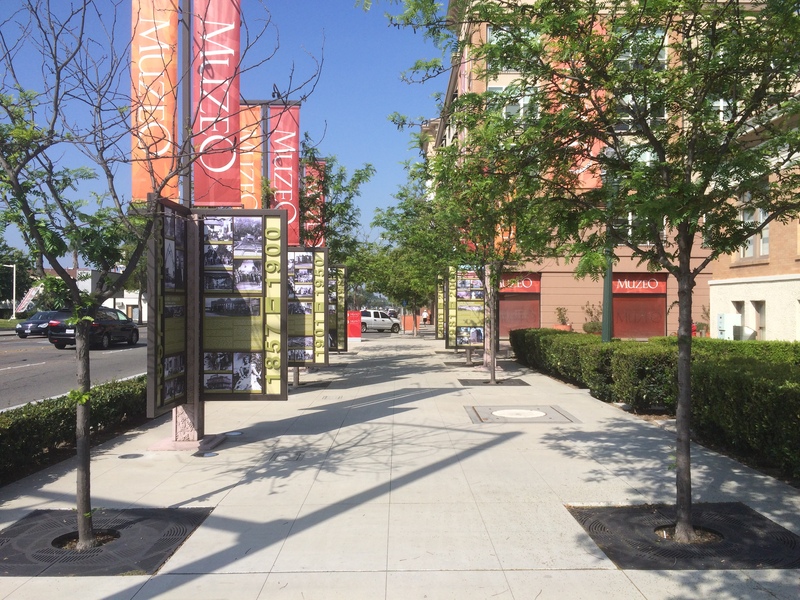 You probably won’t notice this because it’s meant for sidewalk views. However, I thought I’d include it. 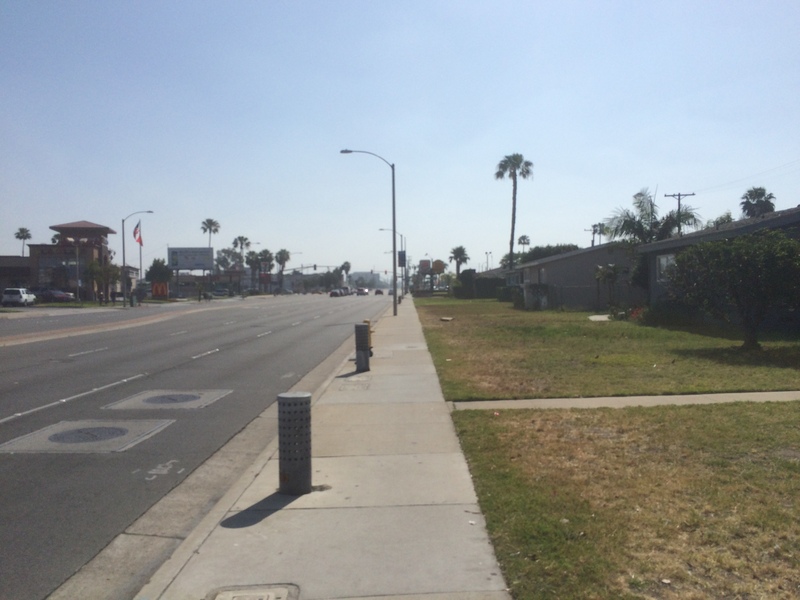 By this point, you’re back on Broadway heading the opposite way as you ran before. 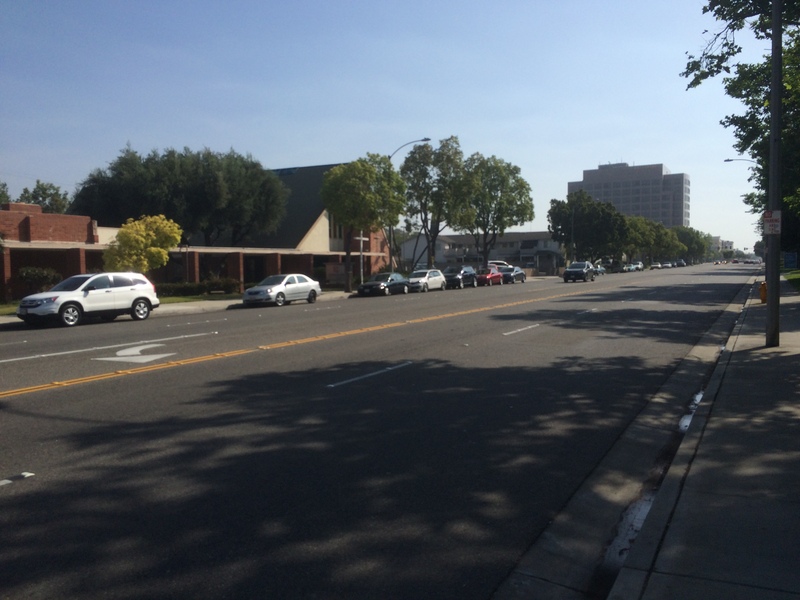 Somewhere down this street will be your next water stop! 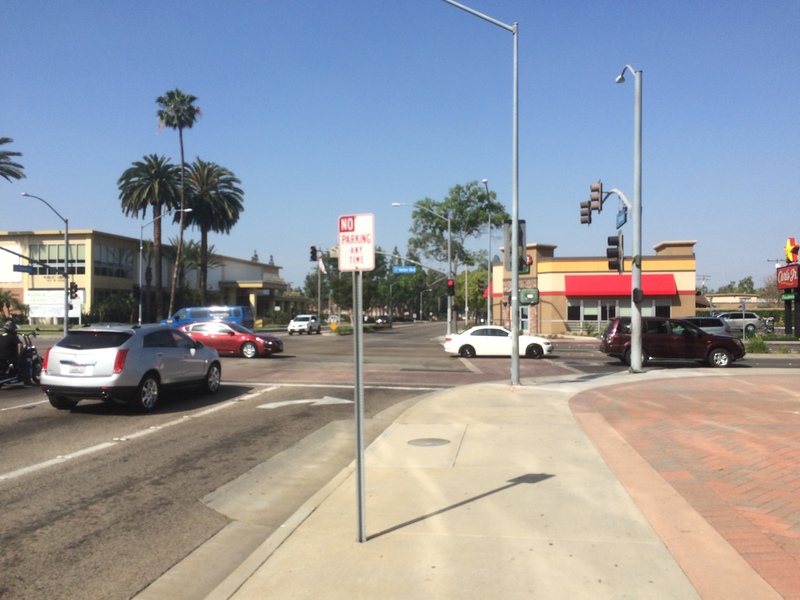 Before you know it, you’ll be back to the intersection of Harbor Blvd. and Broadway that you just ran through. So, depending on how fast you are, you might see runners running towards you. Hopefully, you won’t be seeing the end of the race here because the sweepers would be close (if they have them here). 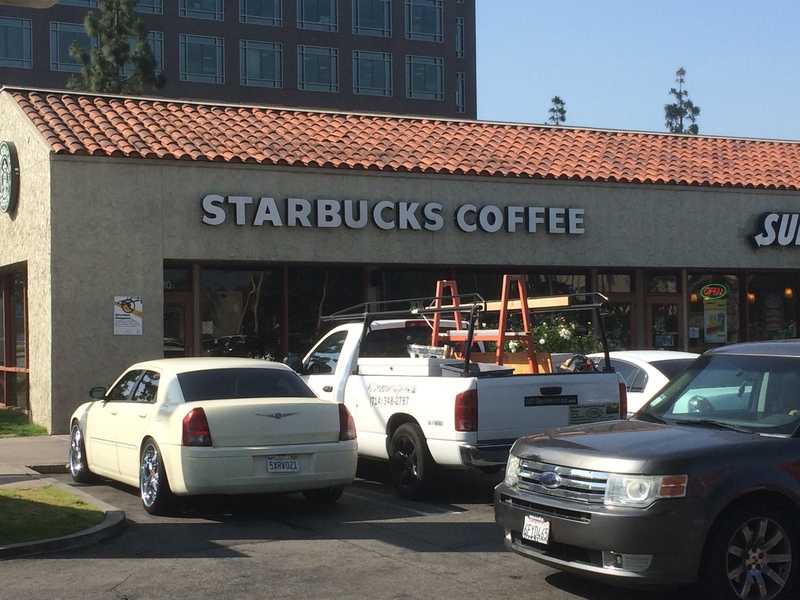 This time, you’ll turn up Harbor Blvd. towards Disneyland! 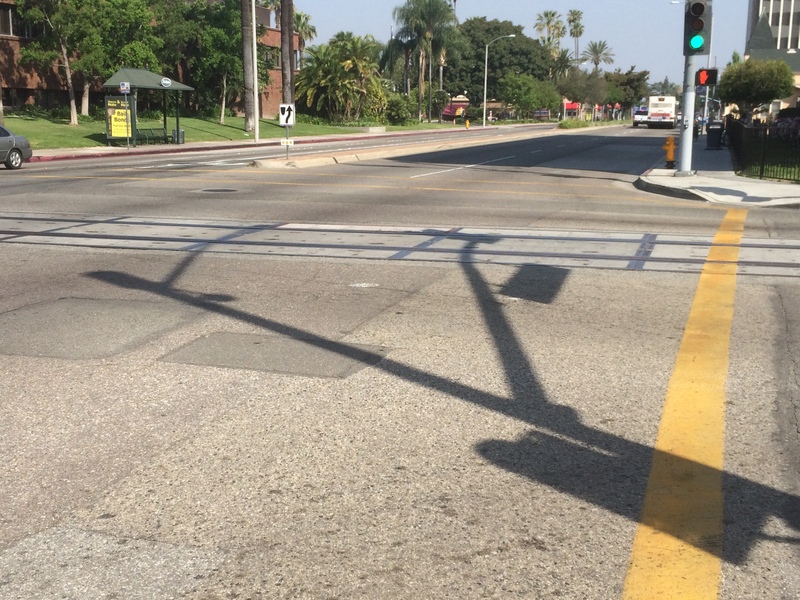 Not too far up Harbor Blvd., is some train tracks. I took a picture to remind you guys to watch out for them. 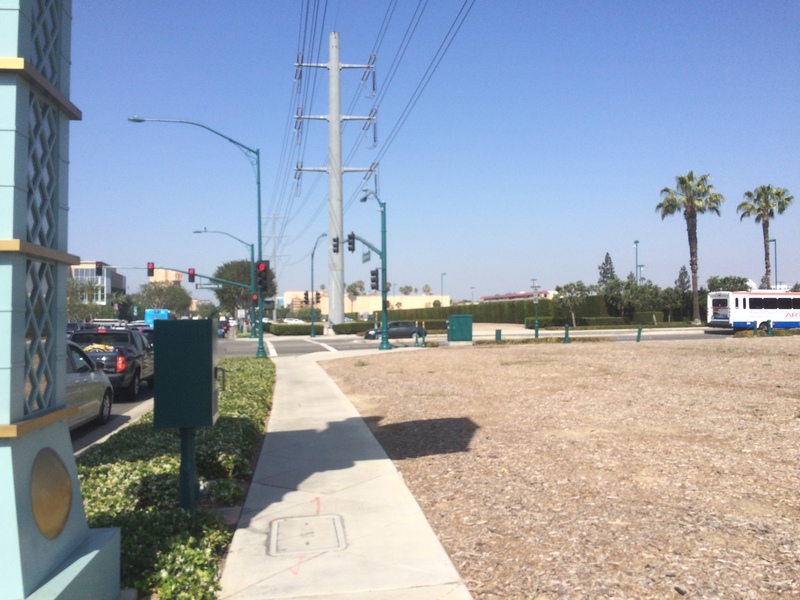 Also, somewhere on Harbor Blvd., you’ll cross the 9 mile marker! 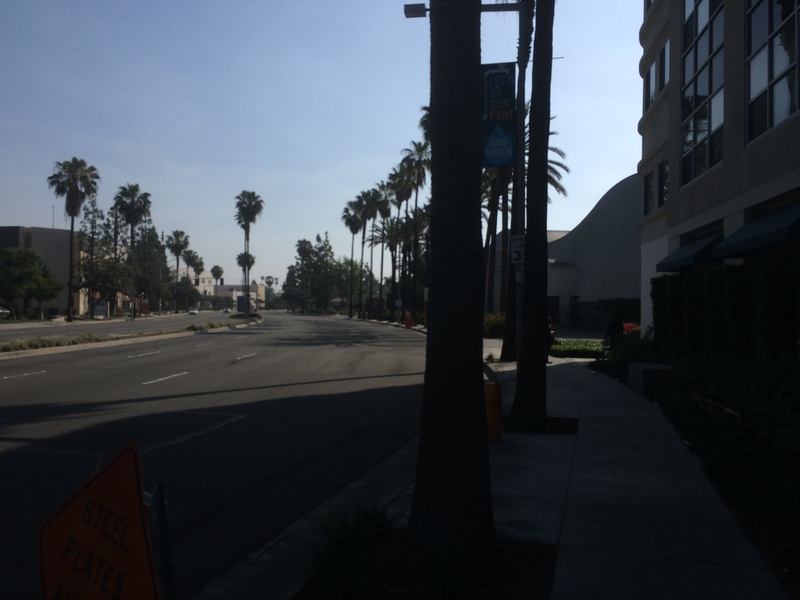 When you get here, Harbor Blvd. and Ball Road, you’re almost to the 10 mile marker. I think this would be a good place to have people come out to watch you run. When I ran Tink, my wife and I stayed at the Hotel Menage. 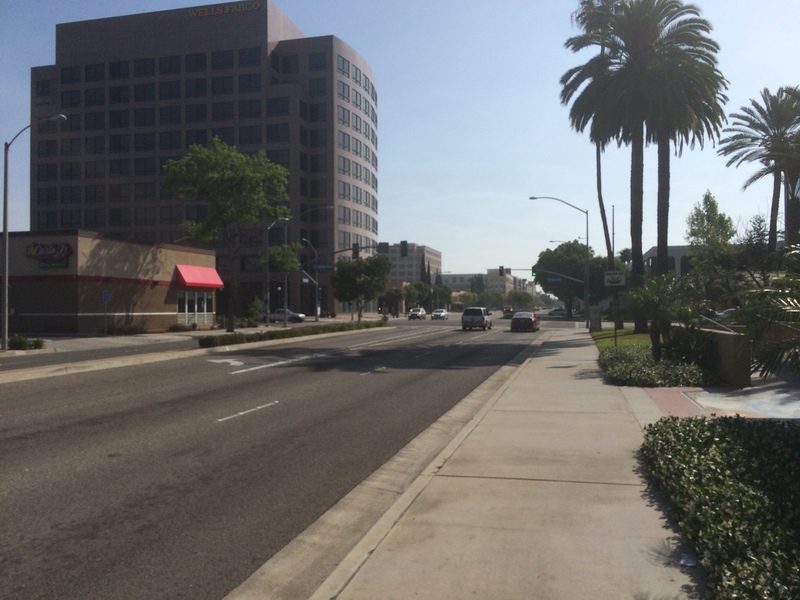 So, she came out and got this picture of me running through this intersection. As you turn up Ball Road, you’ll be close to that 10 mile marker and another water stop. 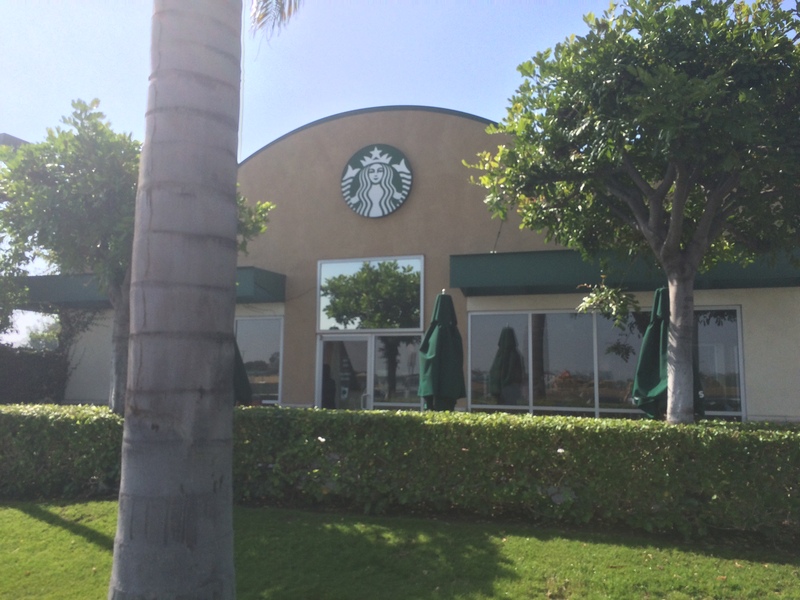 However, if you need your caffeine fix, there’s a Starbucks at the gas station on the corner. Just sayin’. 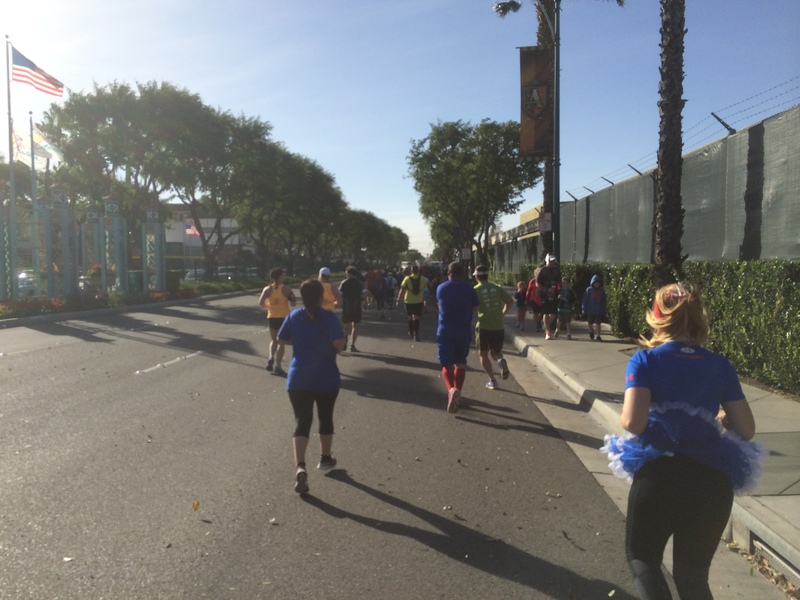 Just like the Disneyland Half Marathon course, you’ll continue up Ball Road until you reach the Burger King. 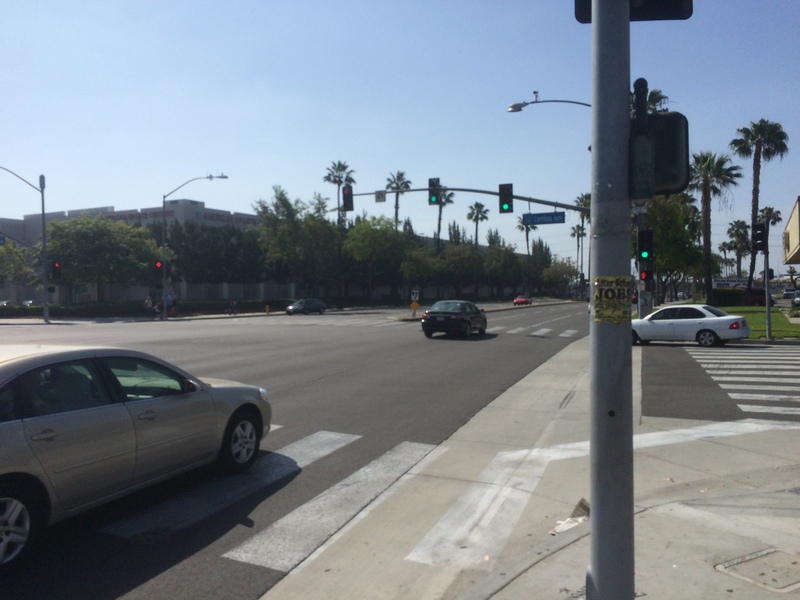 Just like the Disneyland Half Marathon course, you’ll turn right on Anaheim Blvd. However, this time you’ll be in mile 11 instead of mile 5. 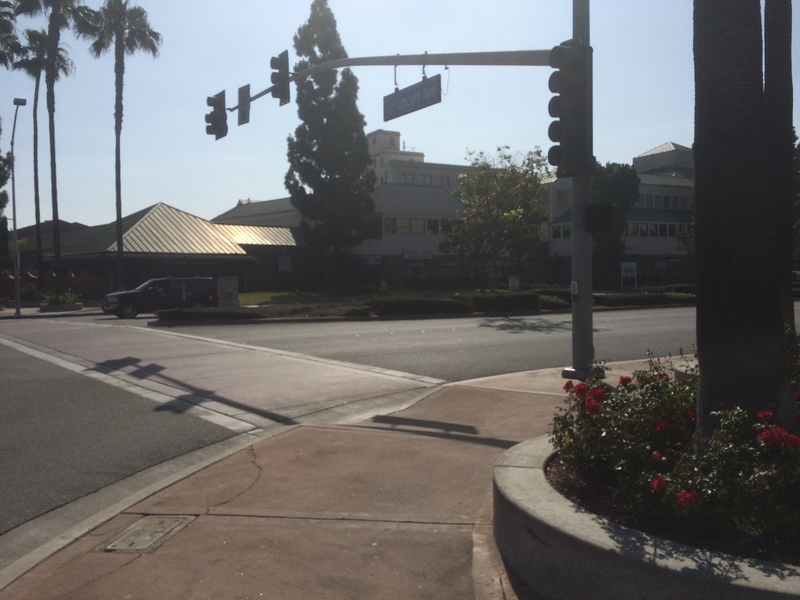 If you’ve run the Disneyland Half Marathon, this is the intersection where the course turns left. 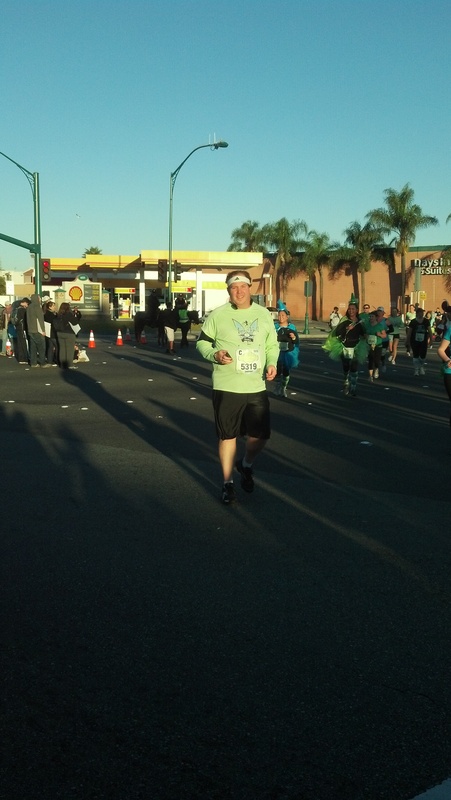 For the Tinker Bell Half Marathon, it continues straight. By this point, you might see the mile 11 marker! 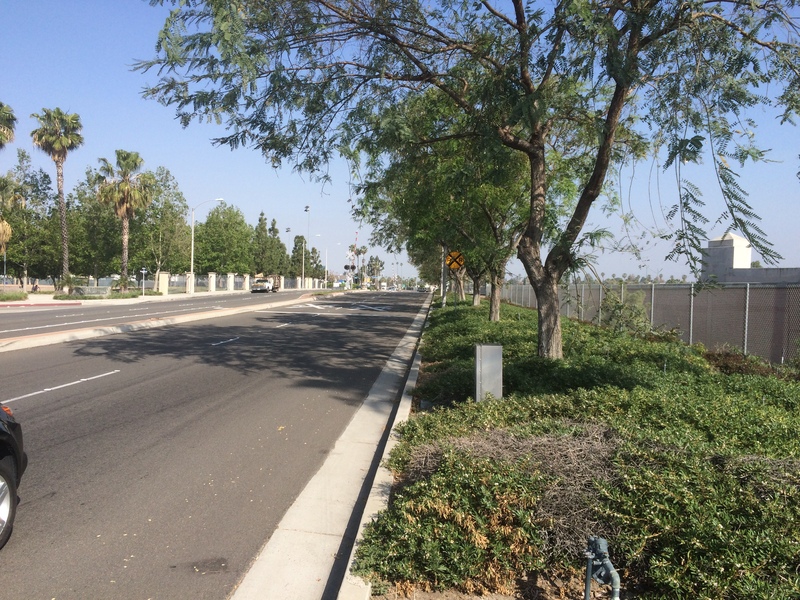 The mile 11 marker should be close to the freeway overpass that you see in the distance. Ah! The shade returns! What a great way to start mile 12! 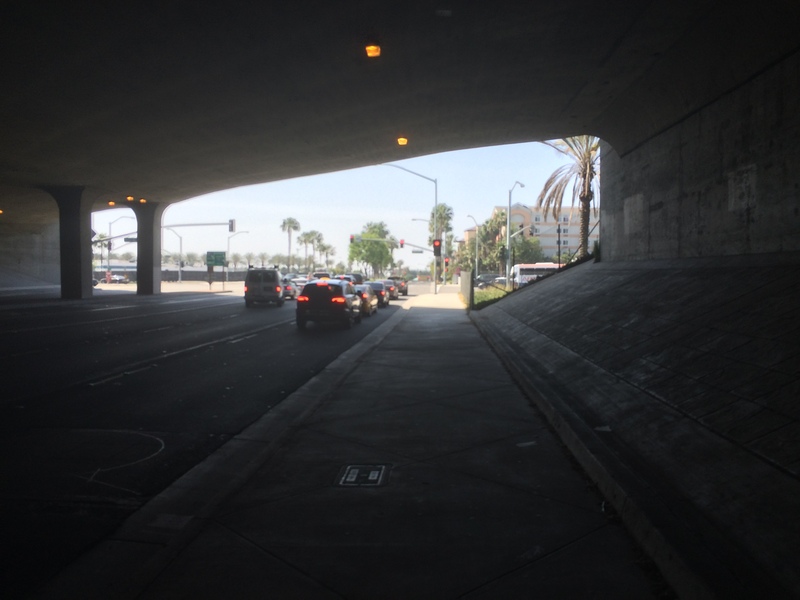 Just past the overpass, you’ll turn right onto Disney Way. You’re not on this street very long. Before you know it, you’re turning onto Clementine. I know that the map says Manchester. However, the street sign says Clementine. 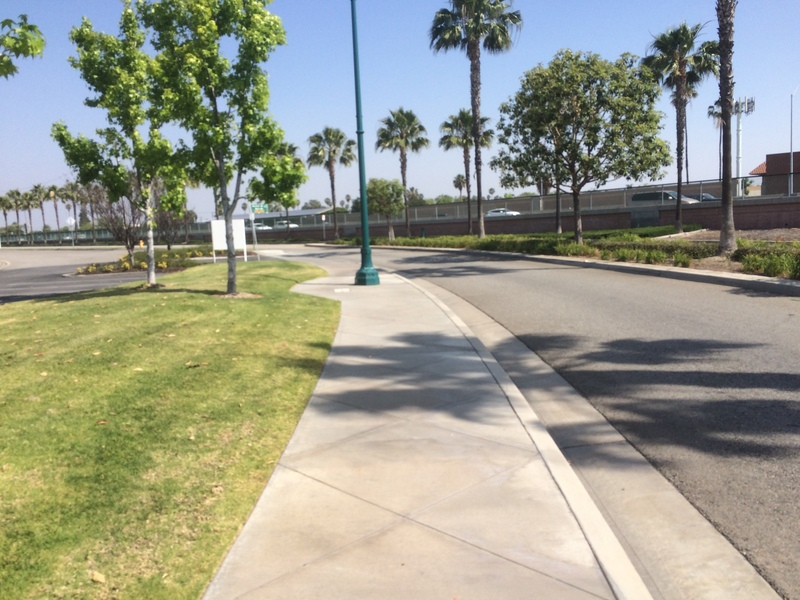 If you ran the Avengers Super Heroes Half Marathon, this part of the course should look a little familiar. 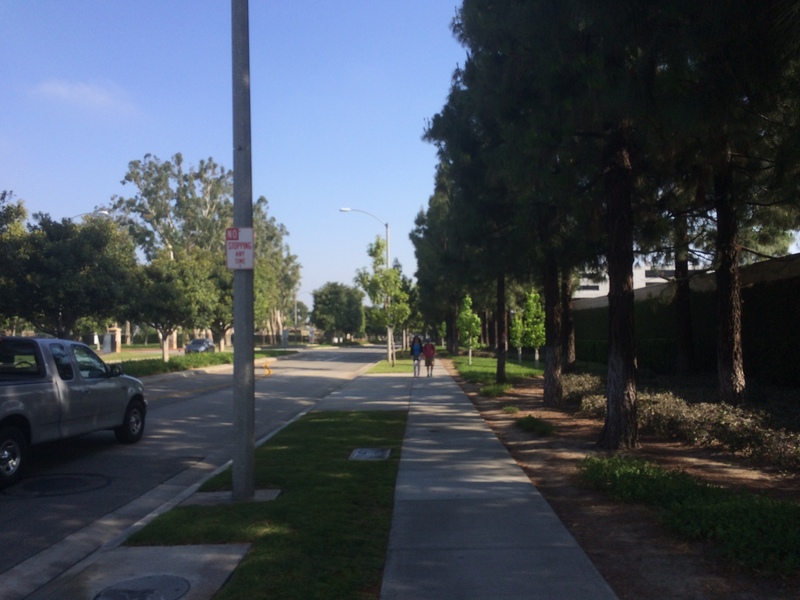 Right around this turn (at the traffic light) is the very last water stop on the route. You’ll be about a mile and a half from the finish line. So, make sure to stay hydrated! 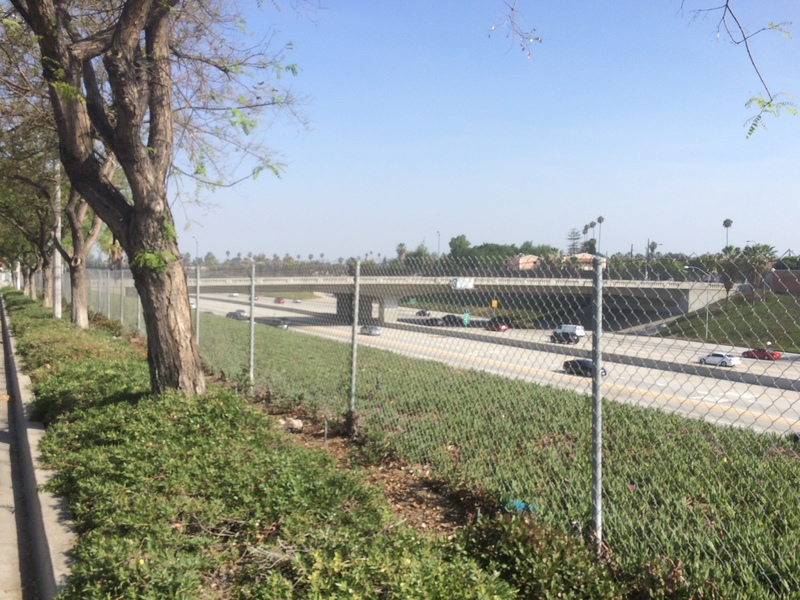 Clementine curves and runs parallel to the 5 freeway. 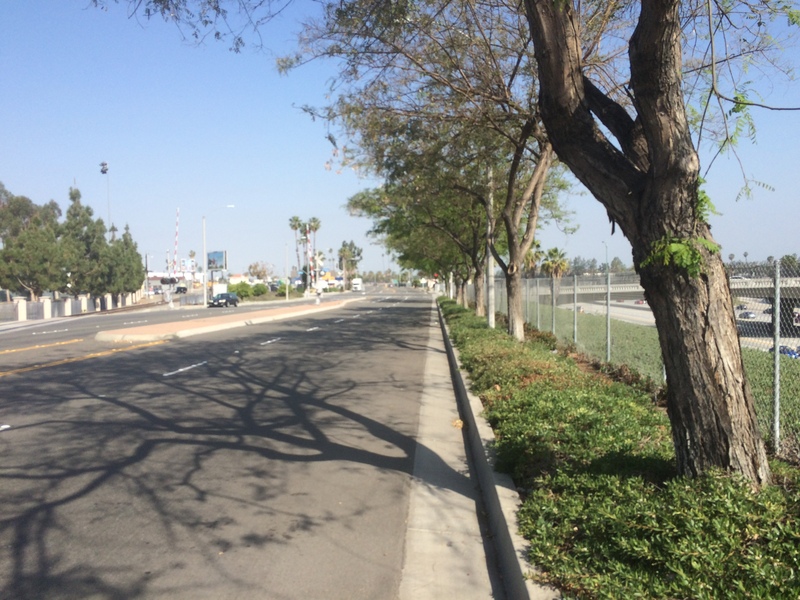 As I’m writing this overview, I’m now realizing how much of the 5 freeway the course runs around. Crazy. 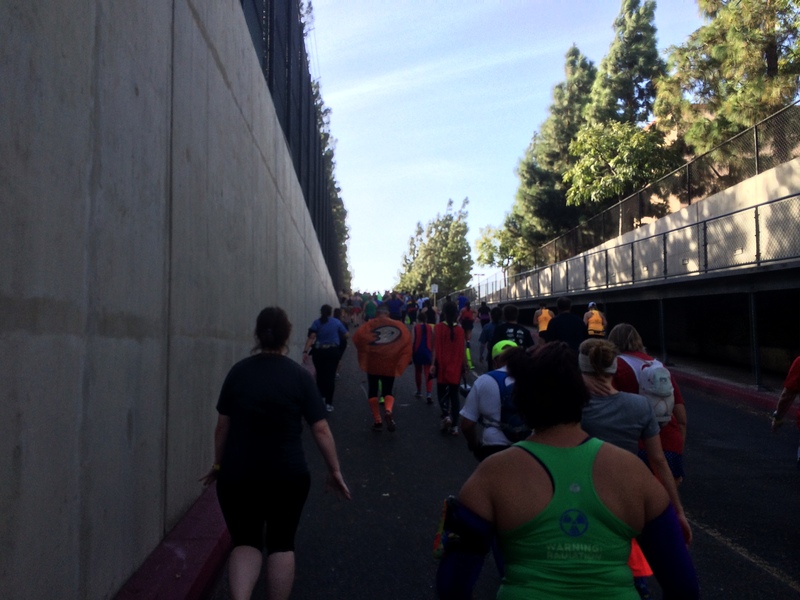 As I ran this stretch of the Avengers Super Heroes Half Marathon, there was a really nice tail wind helping us along. I don’t think it will be that windy for the Tinker Bell Half Marathon. As you can tell, you’ve now made your way back to the resort area. Can you see the Matterhorn? That sight should give you some much-needed energy. The end is almost near! Where you see the Matterhorn is where the course will turn again. 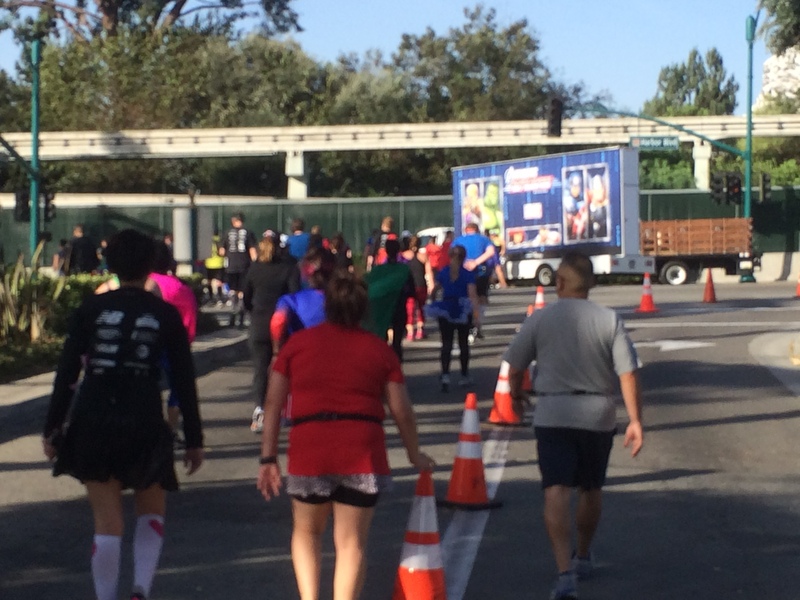 This is what it looked like at the Avengers Super Heroes Half Marathon as we turned back onto Harbor Blvd.! From there, you’ll be back on the same ground you ran during the 2nd mile! That 12 mile marker is getting oh so close! From the look of the map, I think that the 12 mile marker should be somewhere close to here! The race is so close to finishing! However, we’ll close this part of the overview with re-entry to Disney property. 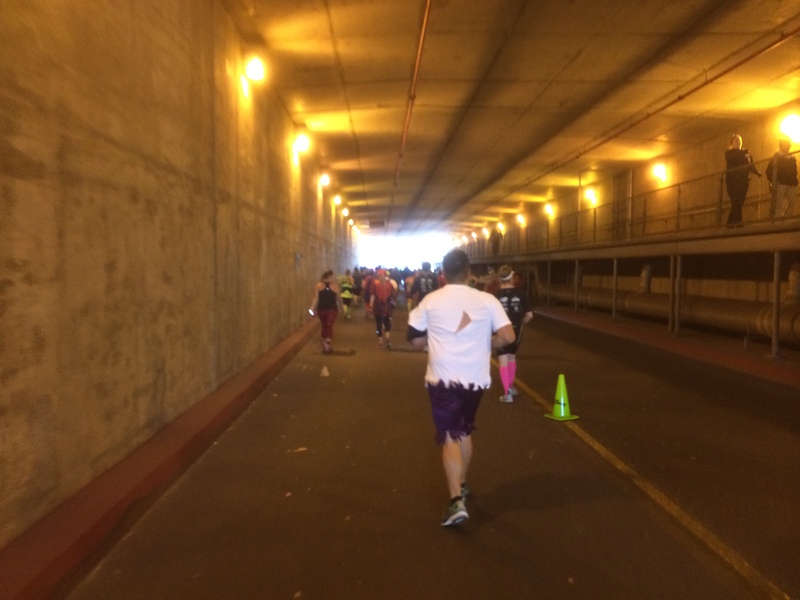 Just like mile 2, you’ll head down into this tunnel…. through the tunnel (the air conditioning at the end of the race will feel heavenly). Then, it’s back up the other side for your final climb of the entire race! When I ran Tink, I thought it was a little cruel that the course designers threw this in for us to climb twice in the same race….and the second time being in the last mile. 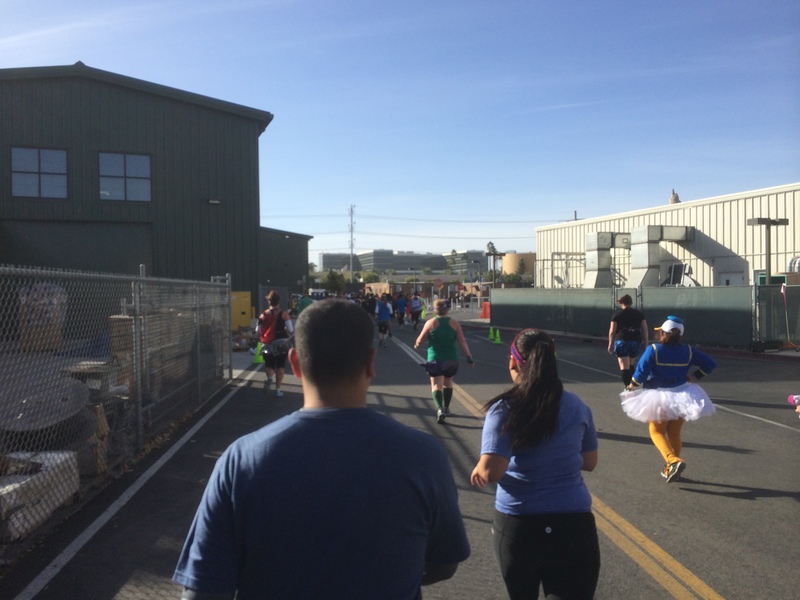 You’ll run backstage at Disney California Adventure. Once you get out of back stage of Disney California Adventure, you’ll see the finish line! Time to get ready for that finish line pose! You’re almost to the finish. I always want to have enough energy to run the last tenth of a mile and finish with a smile on my face! Enjoy the moment! 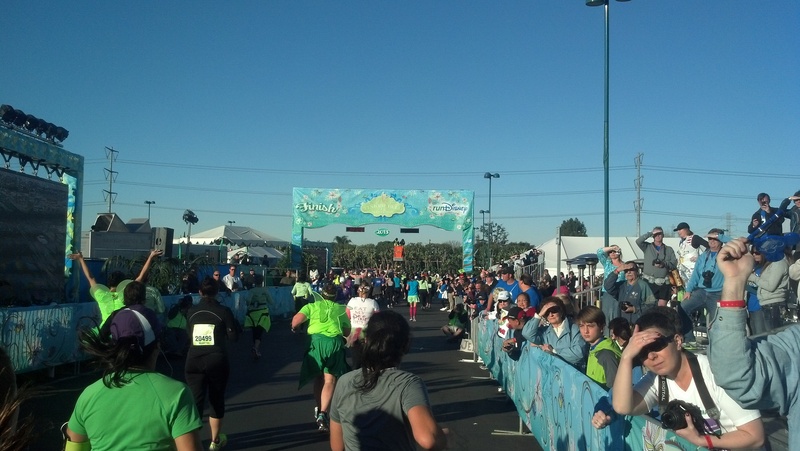 You’ve finished the Tinker Bell Half Marathon! For me, this moment was life changing! I hope that this race is magical for those of you who are running. The Tinker Bell Half Marathon will always hold a special place in my heart because it was the first half marathon I ever ran. I hope that in some, small way, these course overview posts have been helpful. I enjoyed getting to run over the course. However, I’ve got to say that the strength of this course is in the amount of time you’re in the theme parks. The fact that you are pretty much in and around the theme parks for half the race is what makes this race special. It’s a real shame that runDisney hasn’t promoted this race better over the years. 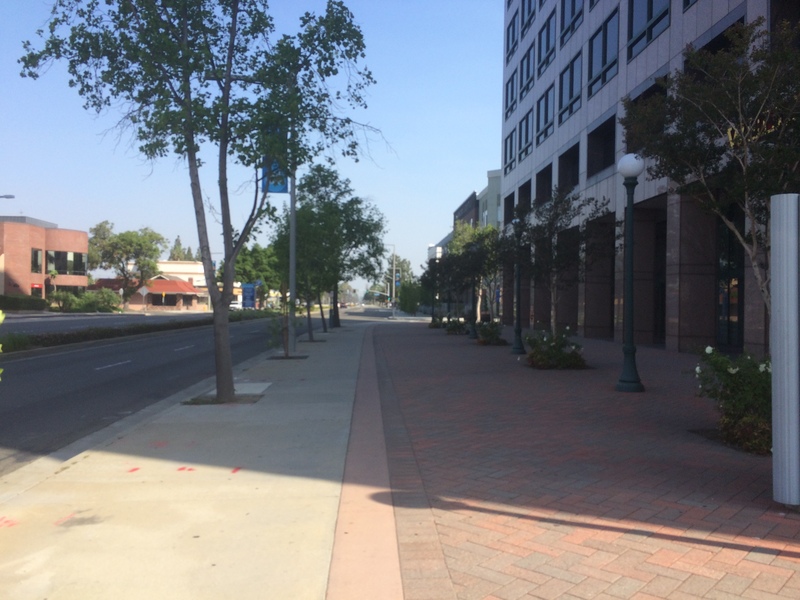 The streets of Anaheim are flat. The climbs are mostly in the first mile and a half. They say you should hold back for the first few miles of a half marathon. I think the Tink course does this for you with those two overpasses in the beginning. So, if you’re slow in the first part of the course, fear not. It does get easier. great review of the end of the course. It makes me sad this part is so boring compared to the beginning of the course but it is also flat so you can pick up some real speed here. I agree. Since the hills are behind you by the time you get to the streets, there will be plenty of time to make up lost time from earlier in the course. 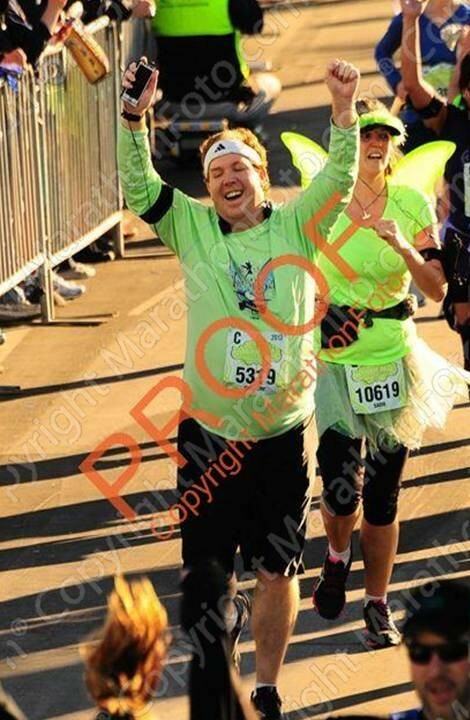 This was my first Tinkerbell race and I loved the course! I even liked the 10k too! 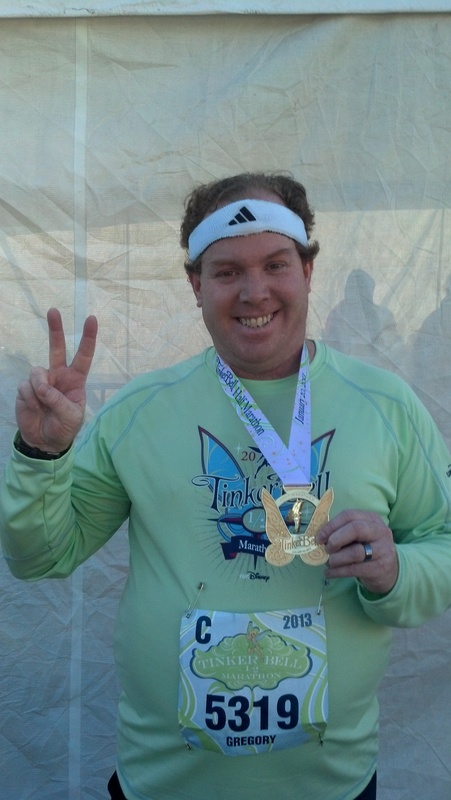 I haven’t run the Tink 10K. Glad to hear you like the Tink Half. 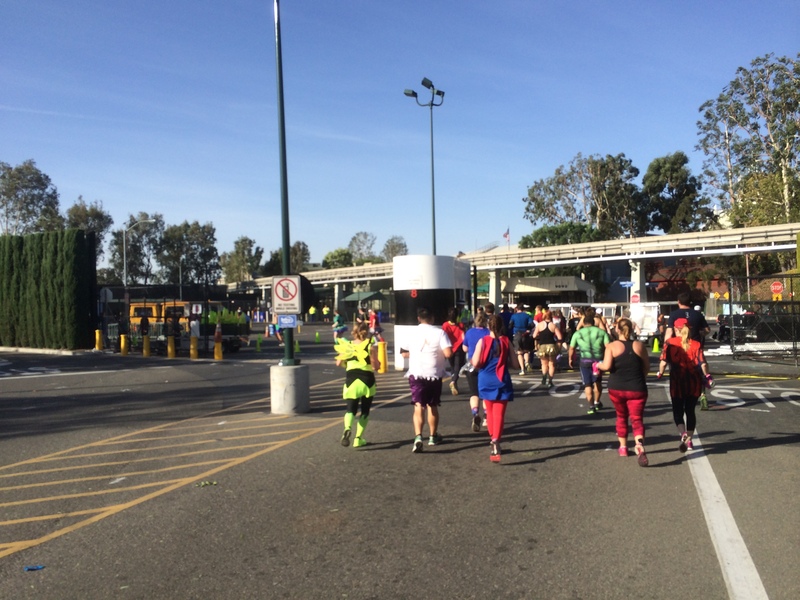 It is the runDisney race that keeps you in the parks the longest. I think the runners love that about this race. I am thinking about whether I’ll run Tink again next year. I believe it will be the 5th anniversary. So, the bling might be pretty cool. Plus, it would bring me back to my first half marathon ever and the race that started this whole running obsession.